Thief's city starts to come to life in the title's launch trailer. Garrett is on the run after a heist gone wrong in this 17-minute mission walkthrough, but that doesn't mean he can't steal some things along the way. Three stories bring three different perspectives on a city rotting from the inside. 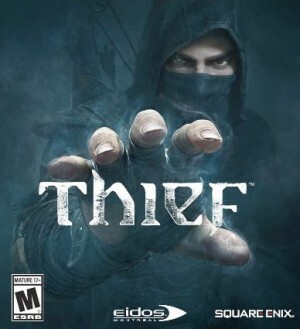 Thief arrives on February 25. Here's what you need to know. Eidos-Montreal's Thief reboot has had a long and colorful development cycle. Some people have worried about what that means for the finished product, but the team doesn't think its process has been unusual. This story of the city is told from the blind eyes of the Queen of Beggars. Thief's latest trailer, which premiered during last night's VGX awards, sets up Garrett's story, and why he's made a return. The Lockdown level will task players with stealthily navigating a heavily guarded city. Eidos Montreal is tuning Thief on the PlayStation 4 to make the most of the system's features. Find out more about the sickness infecting Garrett's city in this new video. Thief's control scheme is designed for prowling, and it will take a little while to get used to.